AnimSchool is the online school for 3D animation skills! We offer two 12-month certificate programs, each requiring 9 months of pre-requisites. The "3D Character" Program Track teaches modeling and rigging. The "3D Animation" Program Track teaches animation. AnimSchool is for new students who want to learn the core skills involved in high-end 3D animation: 1. making 3D characters, or 2. making them move and act. Each term is 11 weeks. There are four terms per year. Each Track & Program lasts 7 terms. The classes are scheduled for about 90 minutes during which the instructor teaches the students through lecture and live workflow demonstrations. Most classes will also hold a 1-3 hour "Critique Time", at another day and/or time when the teacher reviews each student's assignment. The length of that session depends on how many students there are to review. Students may choose to stay for other students' critiques. For small classes, the Critique Time may combined with the regular Class Time because the lecture and critiques can be accomplished within the other two to three-hour Class Time. The instructor gives a live lecture each week. Many courses also offer additional pre-recorded videos explaining curriculum concepts and tools. Each class is recorded for later access while an active student or graduate of AnimSchool. Our many supplemental review sessions and live art classes are all recorded well and become part of the permanent library for active students and graduates. Can working animators just take individual classes? Yes! For students who don't need to enter a full 21-24 month course of study, they can sign up for individual classes to give them a needed boost in their career. 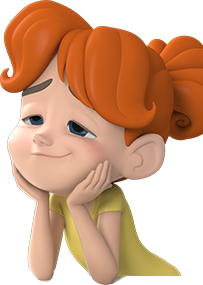 However, students have to be approved by AnimSchool's Review Board to enroll in the selected course. New students can begin at any term of the year. AnimSchool provides exceptional character rigs for animators to use for each assignment. Does AnimSchool offer student discounts for the 3D software? Yes. For students enrolled in a program, they are eligible to buy Autodesk Maya at student discount rates. AnimSchool is also part of Autodesk's amazing free software program. AnimSchool program students are currently eligible to download a copy of Maya for free! We typically approve 40 - 60 new students each term, joining our student body of about 250 students. How much does AnimSchool cost? Tuition for each 11-week term costs US $1620 or $540 per month. The 7-term program costs $11,340 (or more if classes need to be repeated, or the Introduction to Maya software course is also needed) plus an application fee of $125. See the Tuition page for more details. How fast does my internet have to be to attend AnimSchool classes? Fast “basic broadband” internet access is absolutely required. For best results, students need download speeds of 1.5 Mbps or more and upload speeds of 1.2 Mbps or more. What is the Easy-Pay program? The Easy-Pay program is a way to spread out the cost of tuition to bring the (per-month) cost down to $362 per month. Over 33 months, students take four one-term breaks from classes, during which they continue to access the AnimSchool website and improve their skills, but aren't enrolled in classes. Each month during these breaks as well as three months before, students make 33 total payments. Note that completing an AnimSchool program this way takes 33 months, 12 months longer than the usual 21 months. See the AnimSchool Catalog for more information. What are AnimSchool's Graduates' Employment Rates and Graduation Rates? Note: These rates are from our previous programs, which were normally 21-months in length. The graduation rates from our new 12-month programs will be posted when they become available. Overall: 21 graduated out of 84 available for graduation from the most recent period. 19 employed out of 20 available graduates from the most recent period. Some states refuse their residents to participate in any online classes from non-accredited schools in other states. Most states have a process to waive those requirements for remote online classes from outside their states, but a few do not. Restrictions from the state of Georgia mean that we do not currently accept students residing in Georgia. However, they will allow us to accept students when our accreditation process is complete. Some states refuse their residents to participate in any online classes from non-accredited schools in other states. Most states have a process to waive those requirements for remote online classes from outside their states, but a few do not. Restrictions from the state of North Dakota mean that we do not currently accept students residing in North Dakota. However, they will allow us to accept students when our accreditation process is complete. Some states refuse their residents to participate in any online classes from non-accredited schools in other states. Most states have a process to waive those requirements for remote online classes from outside their states, but a few do not. Restrictions from the state of Texas mean that we do not currently accept students residing in Texas. However, they will allow us to accept students when our accreditation process is complete. AnimSchool expects be able to accept students from the States on the temporary block list, after the school is nationally accredited. Who are the people behind AnimSchool? Each term we have over 35 instructors teach our many classes. Nearly all of our top instructors are now working at Blue Sky Studios, Pixar, Dreamworks, Disney and other studios are teaching at AnimSchool, from the modeling, rigging, and animation departments. They teach at AnimSchool after hours. Prospective students need to be 18 or older, be a High School graduate or equivalent, have a working knowledge of English, and show aptitude (normally drawing or some 3D exploration) and eagerness to complete the program of study. Students must have a working knowledge of computers, Windows or Mac. Students should be familiar with Autodesk Maya or take our preparatory Introduction to Maya course (which increases the Track length by 3 months). If you are age 13-18, you can take classes from working AnimSchool graduates at our partner www.animationworkshops.com. Most of our classes are held two days each week. There is a lecture and instruction during "Class Time". In addition, most classes will hold "Critique Time" at a separate day and/or time, when each student's assignment can be reviewed. Smaller classes may not require Critique Time. Students can sign up for the particular teacher and class time that works best for them. Click on Classes Now Offered in the Programs menu above. Classes are accessed through your homepage at animschool.com using advanced web-conferencing software allowing instructors and student to interact via chat, mic, and webcamera. During lectures, teachers can show their desktop to review the students' work and demonstrate concepts and workflows. Classes are kept small to allow for comfortable interaction and maximum face-to-face time with the teacher. Usually 10 students or fewer. Classes are designed to fit around the work schedules of the working teachers, and tend to be in the hours between 7-12 in the evening in the U.S. time zones, and on Saturdays. We also hold a limited number of mid-day classes for the benefit of those in a wide-range of timezones. Which 3D software package does AnimSchool use? Do 3D Character (modeling&rigging) students learn scripting? 3D Character students can focus on the aesthetic or the technical side of those skills. Some scripting is taught in the first four core classes. The 3D Character curriculum includes, but doesn't require, advanced scripting. What makes AnimSchool different from other schools? 2. At AnimSchool, we are passionate about great 3D characters. Appealing, convincing characters are at the heart of AnimSchool. What jobs will a certificate at AnimSchool prepare the student for? AnimSchool students will be qualifying to find employment as a 3D animator, 3D modeler, rigger (character TD), 3D artist, 3D generalist in the feature film, visual FX, television broadcast, video gaming, advertising, and web industries. Students are also responsible for purchasing or having access to: computer, web camera (with microphone), educational-discounted Maya 3D software, and textbooks. Does AnimSchool offer financial aid? AnimSchool is an unaccredited school, so U.S. government-backed loans are not available. Students can arrange private loans themselves or participate in our Easy-Pay program. What is the contact information for AnimSchool? Is AnimSchool registered as a school?